Superheroes are the ultimate saviours of humankind, at least that's what Hollywood would love us to believe. Among the plethora of superheroes, I particularly admire Robert Downey, Jr. for his acting prowess. It is a rare thing that a superhero does not rake in the moolah. 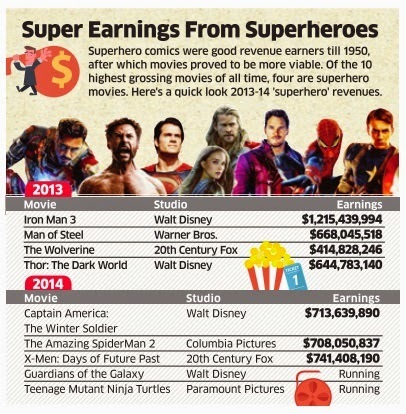 Here's a list of the top earning superhero movies. This comes from ET.